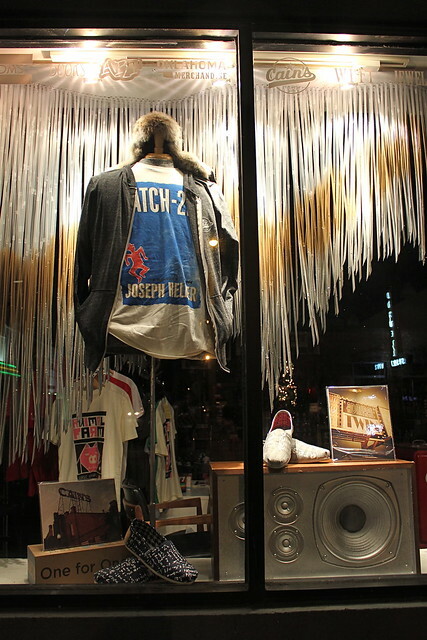 This was a window display I did for clothing/gift boutique. 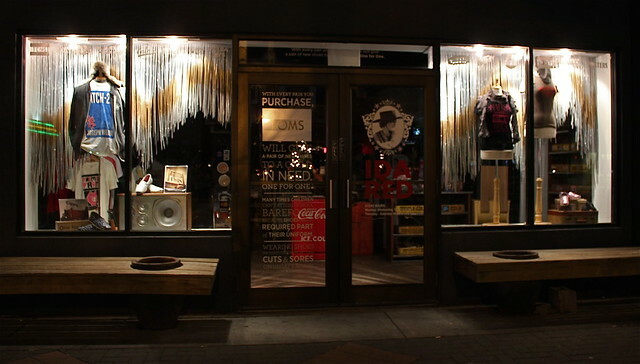 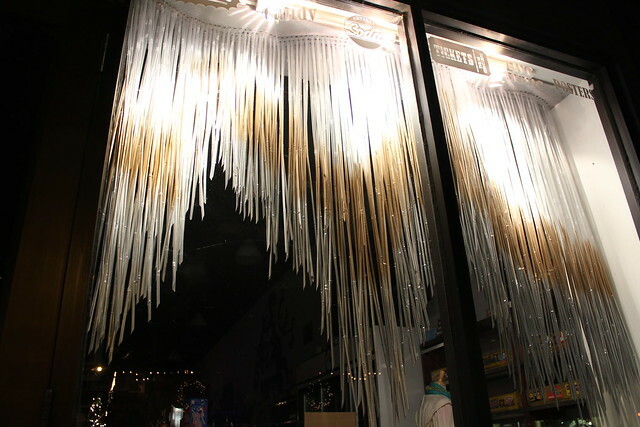 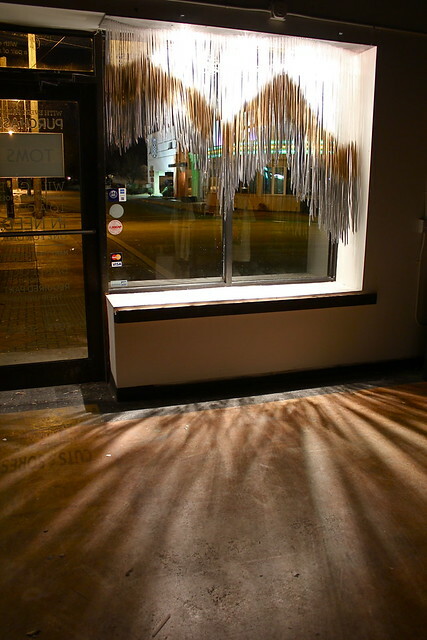 The display was installed in the winter months and was meant to play off the idea of icicles. 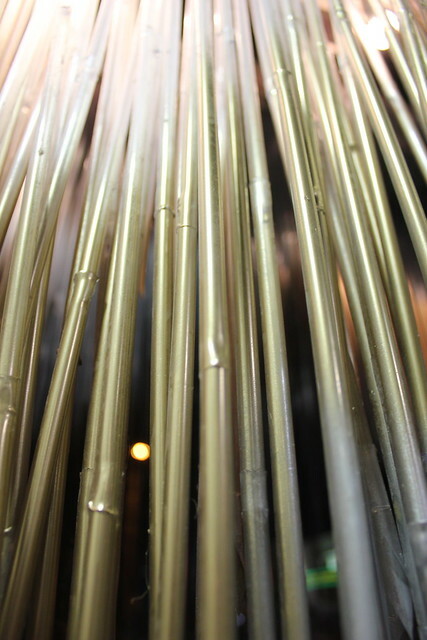 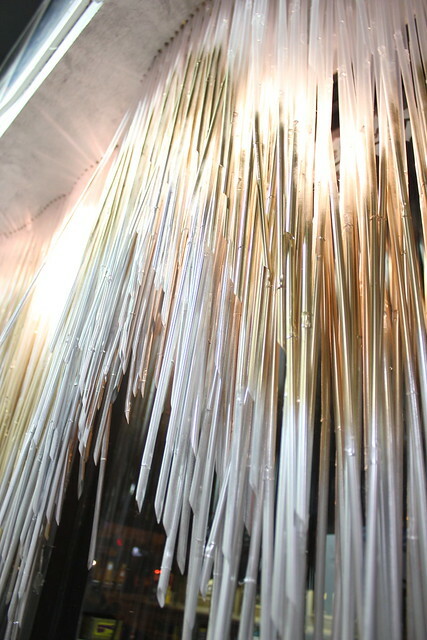 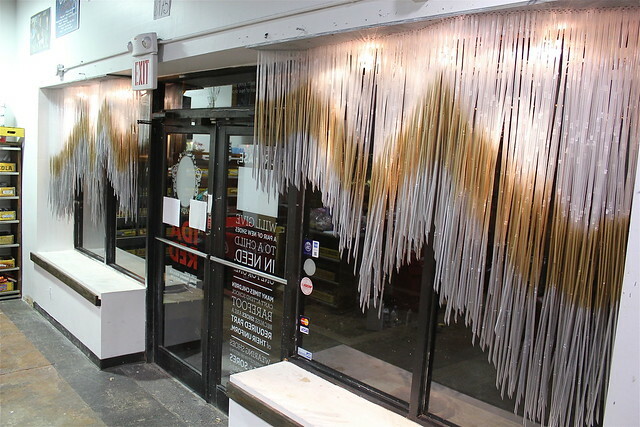 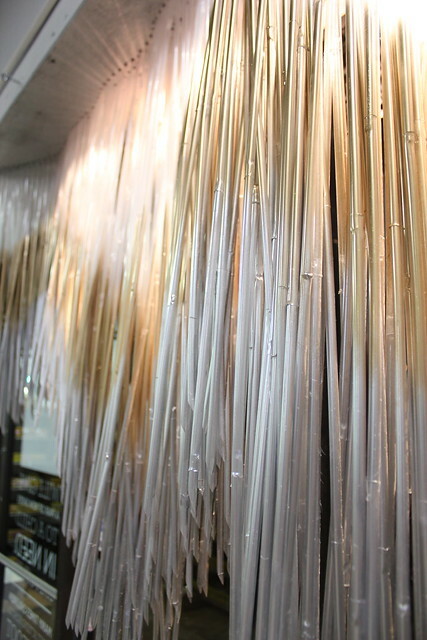 The installation was created with clear plastic straws.